Pine Mountain Lake Aviation Association (PMLAA) is the sponsor of the Phi Helicopter Plan in this area. This organization began thirty years ago with a few pilots meeting at the Lake Lodge for donuts and coffee. As time went on, the organization grew in size so they would then have potluck dinners at the Lake Lodge. Now, with over 240 households belonging to the club, the meetings are held once per month in one of the many airplane hangars at the PML airport. Each month following dinner, a speaker presents an interesting topic related to aviation. 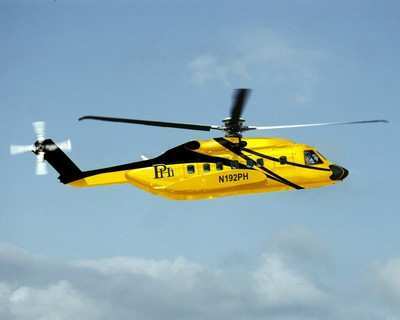 The association began sponsoring the helicopter plan prior to 2008. Persons do not have to be members of PMLAA to join into the helicopter plan nor do you have to live in Pine Mountain Lake. PHI Helicopter Service is granting “group rates” ($30 for the household) through a GROUP policy for the Pine Mountain Lake Aviation Association (PMLAA). This annual fee per household was reduced from $40 to $30 as we now have more than 100 households enrolled in the PMLAA plan. While none of us ever expect to be in a situation where we or a loved one will need to be transported by an air ambulance, the reality is that it could and does happen. Seconds can make all the difference during a stroke, heart attack, serious car accident, or other trauma. The last thing you should be concerned with during such an emergency is air transportation costs. That’s why it’s comforting to know that the only air ambulance company to be recognized with the Vision Zero Aviation Safety Award serves your community. When you become a member of the PHI Cares Membership Program, PHI will accept the insurance payment as “payment in full” for any medically necessary transport – from one medical facility to another medical facility, or from the scene of an emergency. As a member, when transported by PHI Air Medical or one of our services lines, you will never have any out-of-pocket expenses for medically necessary transports. To enroll, fill out the attached enrollment form and send it to PHI Cares. The address is located at the bottom of the Membership Application Form. If you have any questions along the way, call PHI toll free, Monday-Friday, 8 am to 4 pm (PST) at 1-888-435-9744. Please use this application to get the special group rate of $30 per household through Pine Mountain Lake Aviation Association.